American University of the Caribbean School of Medicine (AUC) announced today that William Owen, M.
American University of the Caribbean School of Medicine (AUC) announced today that William Owen, M.D., FACP has been appointed as dean of medical sciences. In his position, Dr. Owen will assume full responsibility for the medical sciences curriculum and will be based at AUC's campus in St. Maarten. AUC's mission is to provide an excellent medical education to qualified students of diverse backgrounds, using a curriculum that is modeled after U.S. medical schools. Students learn to work as part of a cohesive team to deliver empathetic, extraordinary care to patients. "I am pleased to welcome such an experienced and accomplished professional, educator and citizen of the world to the AUC community," said Heidi Chumley, M.D., AUC's executive dean and chief academic officer. "Dr. Owen's longstanding commitment to global health, coupled with his significant experience as an academic health system leader, will be of immeasurable value to the university and its students." 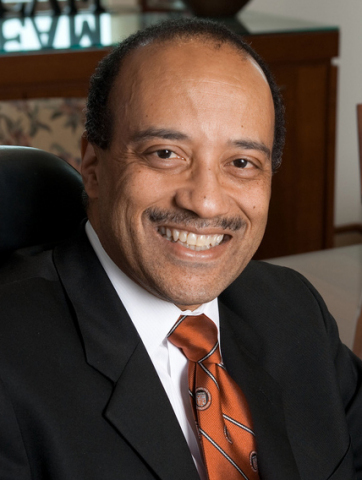 Dr. Owen was formerly the chancellor and senior vice president of health affairs at the University of Tennessee, where he was responsible for the College of Medicine and its five other health professional colleges. He has also served as president of the University of Medicine and Dentistry of New Jersey, the health education and medical component of Rutgers University, the state's largest institution of higher education. In this role, Dr. Owen led two allopathic medical schools, an osteopathic medical school, five other health professional schools and several teaching hospitals. A graduate of Phillips Academy, Brown University and Tufts University (Doctor of Medicine, with honors), Dr. Owen trained in internal medicine and nephrology at Harvard Medical School's Brigham and Women's Hospital, where he was a Robert Wood Johnson Foundation Fellow. He has published more than 180 peer-reviewed articles, chapters and books, and has been awarded more than $10 million in individual research grants. For more information, visit http://www.aucmed.edu/news-and-events.aspx. Since 1978, American University of the Caribbean School of Medicine (AUC) has provided students with quality medical education and has more than 4,500 graduates who are licensed and practicing medicine throughout the world. AUC is committed to providing a high-quality, internationally recognized program of medical education. AUC is accredited by the Accreditation Commission on Colleges of Medicine (ACCM). AUC students are eligible to sit for the USMLE, obtain U.S. Federal Financial Aid if qualified, become active members of the American Medical Student Association (AMSA) and, upon graduation, obtain residency and licensure throughout the United States. AUC's curriculum is the U.S. medical school model, with two years of medical sciences taught at the St. Maarten campus, followed by two years of clinical sciences taught at affiliated hospitals in the United States and England. AUC is a part of DeVry Education Group (NYSE:DV), a global provider of educational services.